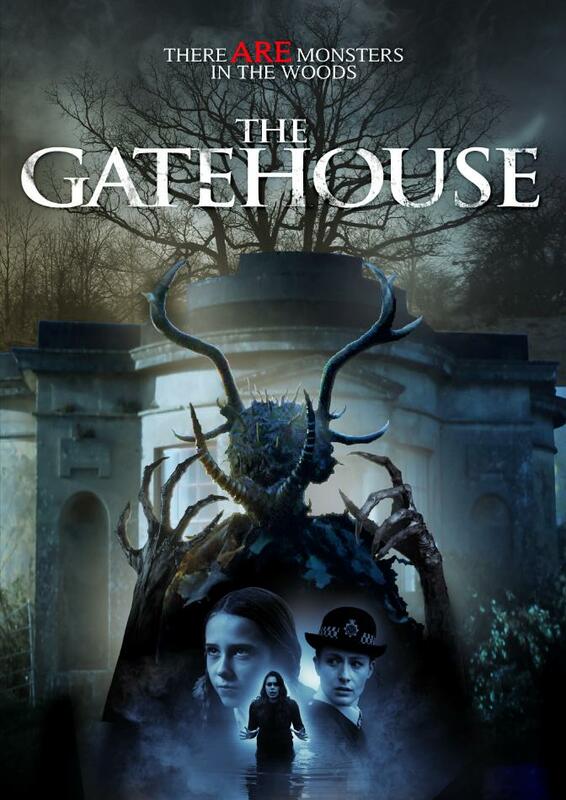 Martin Gooch is a veteran filmmaker who had put together an impressive filmography of short films, television, and comedies before dipping into the spookier side of things with his 2016 release, The Gatehouse. 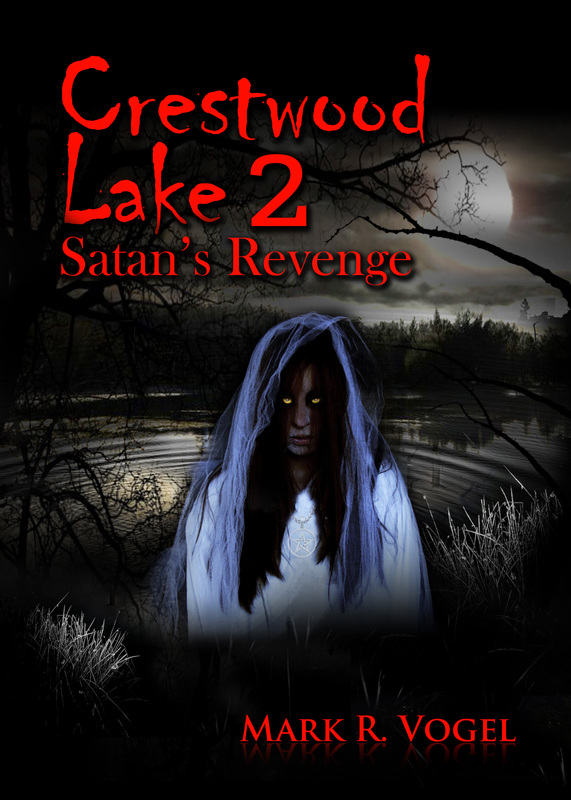 Combining a bit of fantasy, a bit of horror, and a bit of emotion, this British thriller could also be described as a buddy movie with supernatural elements, the buddies in this scenario being a father and daughter who have been struggling to stay afloat ever since the mother/wife died, but now find themselves up against a horned protector of the forest. And aside from a cop-out of an ending rather than a satisfactory resolution to our story, this new, creepier territory is a pretty good fit for this filmmaker. Ten-year-old Eternity (Scarlett Rayner, in her film debut) loves treasure hunting; give her a shovel and some free time in the woods, and she’s a happy girl. Or at least as happy as a young girl can be only a short time removed from the tragic death of her mother. 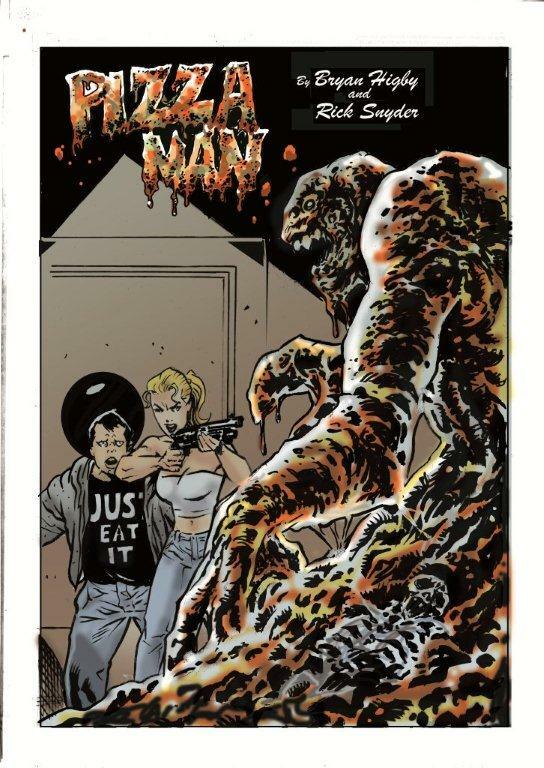 Now it’s just Eternity and her father, Jack (Simeon Willis), a struggling author who is trying his best to take care of his daughter and make ends meet. 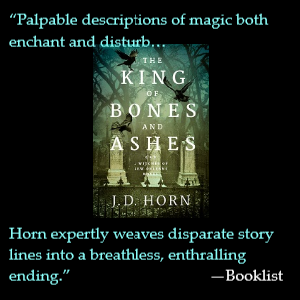 When Eternity finds a strange stone on one of her digs and brings it home, it awakens something in the woods…something deadly. 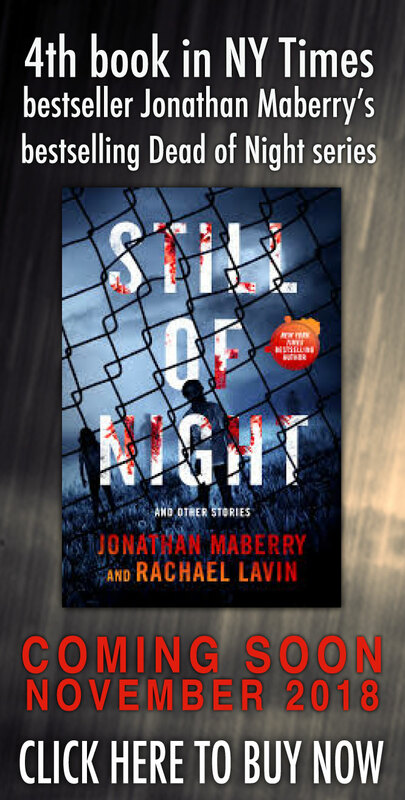 Soon, her small family finds themselves face to face with a supernatural danger that threatens to destroy them. At first glance, The Gatehouse feels a lot like Corin Hardy’s 2015 film, The Hallow – a family living outside the realm of normal society accidentally offends nature and attracts the attention of an ancient evil. We’ve even got a gun-toting local named Algernon Sykes (played by veteran actor Linal Haft) who warns our protagonists of potential dangers and ends up being less friendly than he originally seemed. They’re both good stories, but whereas The Hallow veers toward jump scares and some unexpected gore, The Gatehouse focuses more on the father/daughter relationship and the folklore aspect of the spirit in the woods. Director Martin Gooch wants us to care about Jack and Eternity, and while scary things may be happening around them, he makes sure we recognize that their strong familial bond is the center point of this story. And that bond still includes Eloise (Zara Plessard), Eternity’s mom, who appears to her now and again to warn of the evil that is approaching. This is an enjoyable story, but there are a couple weak points along the way. There are a few too many dream sequence cutaways, at least once even reaching Inception-like, dream-within-a-dream levels. While showing a character’s dream can help develop character and build backstory without relying on info-dumps, adding too many tends to show a lack of creativity in the storytelling and direction, kind of like having a character black out or get knocked unconscious in order to move from point A to point B. And the thing is, the story is creative, and the direction is certainly not lazy. Also, talk about a small world: Jack just happens to be given the assignment of completing an unfinished book about exactly what will soon plague his family. Sure, this ensures that the full story gets out there, with the audience learning right along with Jack as he does his research, but if this isn’t a crazy coincidence, I don’t know what is. You ever see a movie that is a lot of fun, and then the ending comes along and you can’t help but wish they had consulted you instead of ending it like that? The Gatehouse was like that for me. However, I also recognize that this is a movie written by Martin Gooch, not Sean Leonard, and so I have to respect that all of the individual pieces – the characters, the setting, and yes, even the ending – are all just interconnected parts of Gooch’s work of art. Yes, I wished for a different ending, but I did appreciate the post-credits stinger. On the other hand, I want to make a case for MVP (most valuable performer) of the film going to Scarlett Rayner. When Jennifer Kent’s The Babadook came out, a lot of people missed the point and complained incessantly about how annoying the kid was. I imagine some of those same people will be whining about Eternity as well. She’s obnoxious at times, snotty, naïve, and sometimes outright rude, but if she wasn’t, we wouldn’t have this story. None of these things ruin the film; in fact, they add to it by drawing us closer to the imagination of a ten-year-old girl who has recently lost her mother. The Gatehouse is a good example of a horror movie that doesn’t need a lot of blood and gore to be scary. While some of the story details are a bit far-fetched, as a whole the film works nicely, even keeping on the more upbeat, light-hearted side at times, despite it centering around sadness and death. Good character writing (and portrayals, for the most part) and an interesting dip into local folklore help this movie stand out as an above-average ghostly tale. It’s not a perfect movie, but it is an enjoyably creepy story about what evil lurks in the woods.